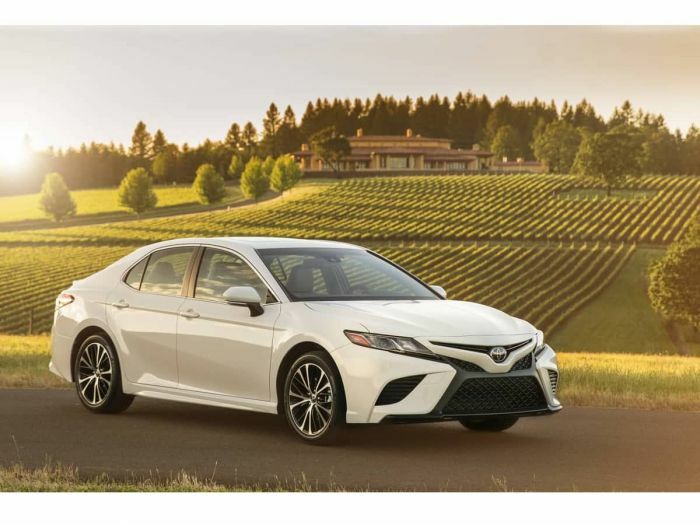 Since its redesign in mid-2017, the all-new 2018 Toyota Camry has been taking customers away from its peers in the midsize sedan market. With the first quarter of 2018 now complete, just how thoroughly the new 2018 Camry is dominating the affordable family sedan market is becoming clear. In the first quarter of 2018, the new Toyota Camry has gained sales. The Camry is up about 9% on a volume basis and 6% on a daily basis. As of the end of March, the new Camry had earned 90,767 unit sales. Torque News reached out to Toyota today to ask if commercial and fleet sales have had any impact on these sales. We asked Toyota specifically if fleet sales have changed in any way and we were told that Toyota's approximately 10% of total volume to fleet sales has not changed. Even without including fleet sales, Toyota's Camry is ahead by a country mile. The Camry is also not stealing sales from within the Toyota lineup. The outgoing RAV4 crossover from Toyota has also seen sales increases and is number two in its segment. An all-new 2019 RAV goes on sales in a few months. The larger Highlander is also up and a sales leader in its segment. Through the first quarter of 2018, every main competitor to the Toyota Camry has seen sales decline. The Accord from Honda, an all-new design since last November, has seen a 14% daily sales rate decline over the period. Sales are down to 61,601 units. That is still a very respectable number, but about 50% lower than the Carmy's sales figures. If you think a shift to some other five-passenger Honda is to account for the Accord's decline, it is hard to prove. The CR-V crossover is down 15% in the first quarter. The Nissan Altima is an aging design about to be replaced by a new car with many important changes. Even in its last year of production, the outgoing Altima is still outselling the all-new Accord. Through the end of March, Nissan had sold 63,406 Altimas, a decline of 14%.Nissan's Rogue crossover is up 14% and is selling at record levels. The Chevy Malibu and Ford Fusion are really no longer in the running in this segment. Both have seen continued sales declines, despite being popular with fleets. Both now have sales that are less than half that of Camry. The Hyundai Sonata sedan has seen the steepest decline in sales. Through the first quarter, the Sonata is down 37% to 23,825 units sold. The 2018 Toyota Camry offers the longest period of included maintenance in the midsize affordable class with two years of maintenance at no extra charge. Honda says that Toyota offers significantly deeper discounts and higher incentives on the Camry than Honda does on the Accord and we have no reason to doubt this is true. The 2018 Camry earns a Top Safety Pick Plus rating from IIHS. That is the highest possible safety rating and a level that the Accord and Altima have failed to match. The four-cylinder Camry has 203 hp and the six-cylinder Camry has 301 hp, and both offer excellent fuel economy. The Camry Hybrid LE is rated at 52 MPG Combined by the EPA.